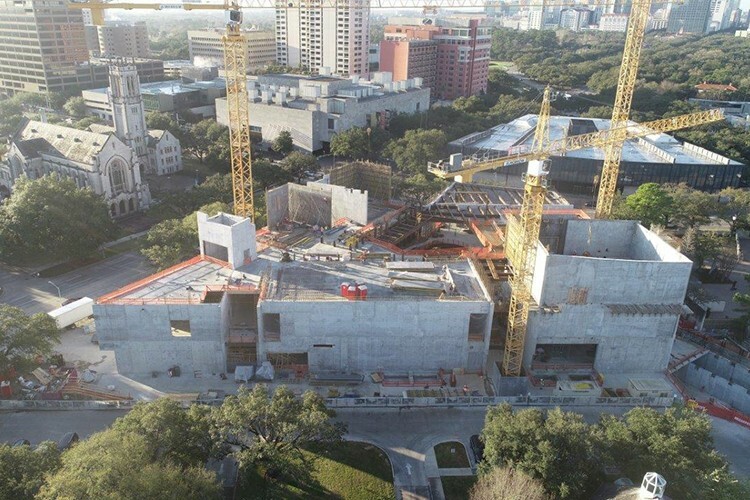 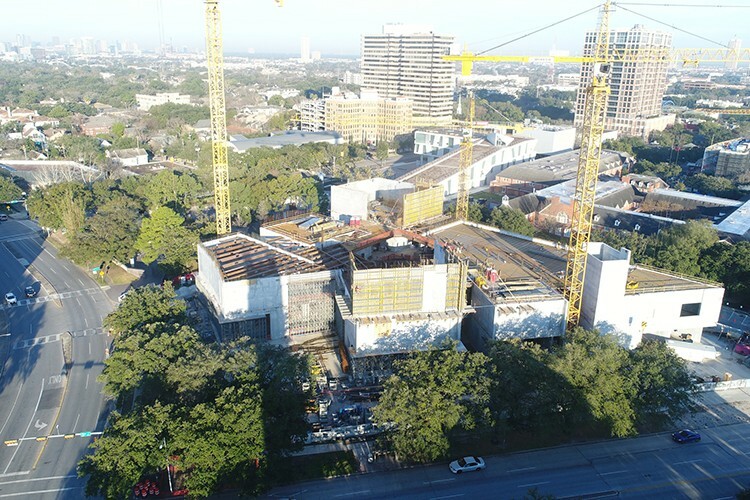 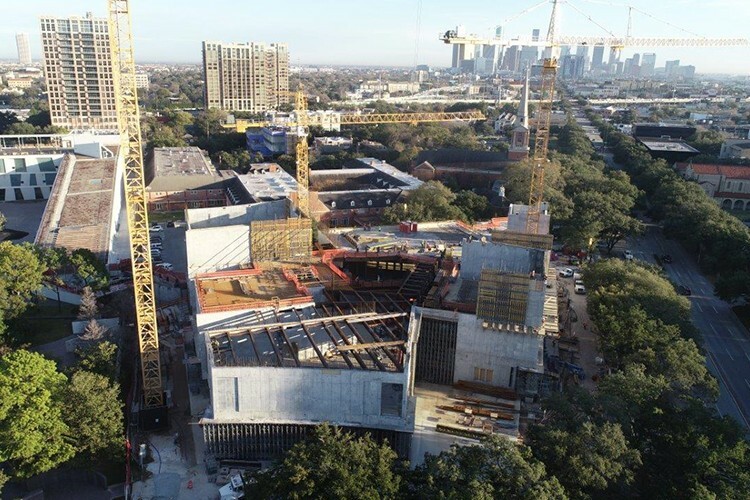 Museum of Fine Arts Houston Kinder Building is nearing topping out, expected late March. 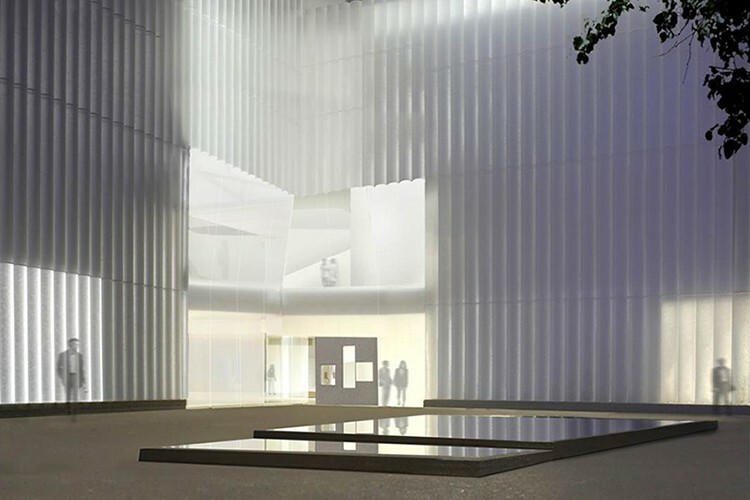 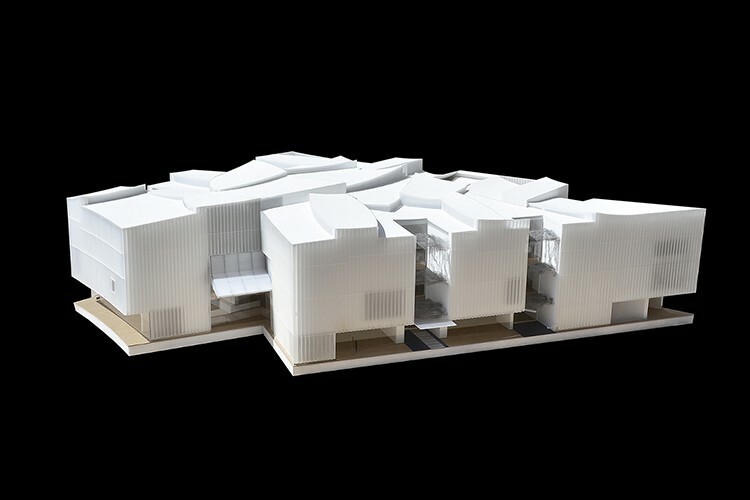 Already the gallery volumes can be seen framed by the structural concrete walls. 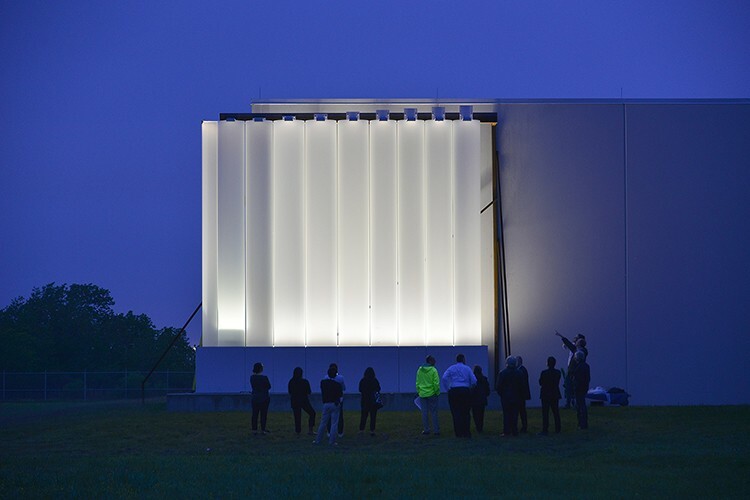 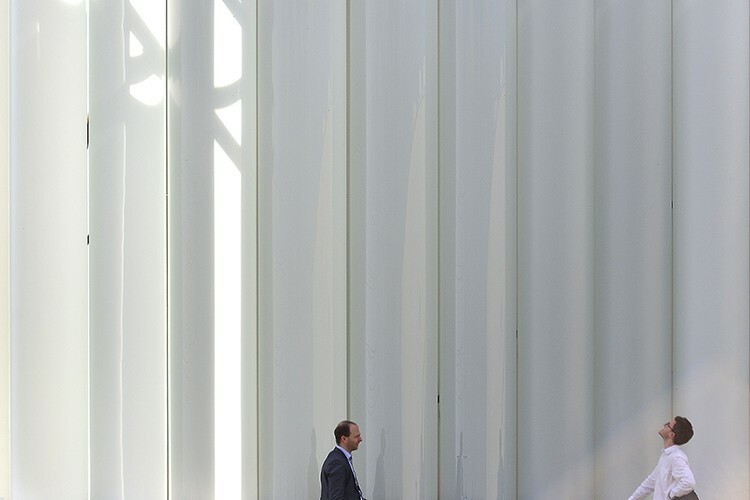 The Glass Tubes for the façade have been fabricated, installation begins this summer.